A day for remembering the importance of emotional intelligence in leadership. Our world needs more empathy from our leaders, and less thumbs-up grinning for the cameras. 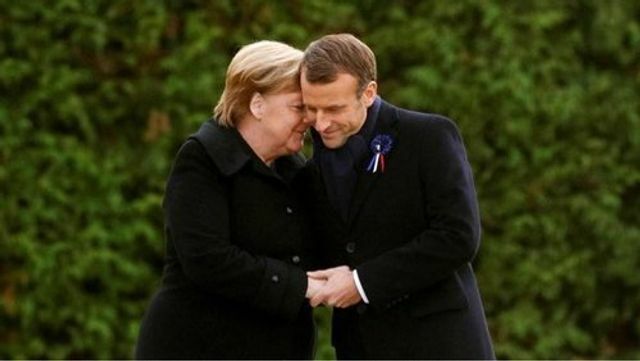 It was an extraordinary spectacle: President Emmanuel Macron, 40, sporting a cornflower — the French equivalent of a remembrance poppy — in his lapel and Angela Merkel, the 64-year-old German chancellor, held hands and rested their heads against each other. If Brexit was going well, how would we know? Mediation + Meditation = Medication ? Are there any other credible options left?